Polenta is a cornmeal, made from dried, ground maize (corn). The name also refers to the ‘porridge’ made by mixing the cornmeal with water or stock and simmering it until it thickens (this is also known as ‘wet polenta’). Polenta is a staple dish in Northern Italy and is also popular in the southern states of the US as maize is a major crop there. Polenta is a great choice for Fussy Foodies as it is Gluten Free, extremely versatile and widely available. 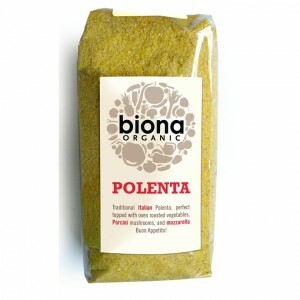 I purchased my Biona Organic polenta at my local health food shop where it was £1.89 for 500g. You can find polenta in most supermarkets – both in dry form and in ready-made blocks. Wet polenta can be served as an alternative to rice, pasta or potatoes as an accompaniment to a main meal. You can also leave wet polenta to stand in a greased dish. It will set and you can then cut it into slices which can be grilled or fried and served with sauces (my favourite is to top the slices with some tomato salsa and some soy cheese). Plain polenta can be jazzed up by stirring in ingredients such as dried mushrooms, herbs & spices, chopped peppers and other vegetables or cheese. Polenta can also be used to make gluten free cakes (often in combination with ground almonds) and cornbread. Add a couple of tablespoons of dry polenta to potatoes to coat them, then few spoons of olive oil before putting in the oven to make super crispy roasties! Make quick chicken nuggets – coat strips of chicken breast in gluten-free flour, then egg (or a suitable egg replacement, water or free from milk works), then coat with a mix of polenta and oatcake (made into a crumb). 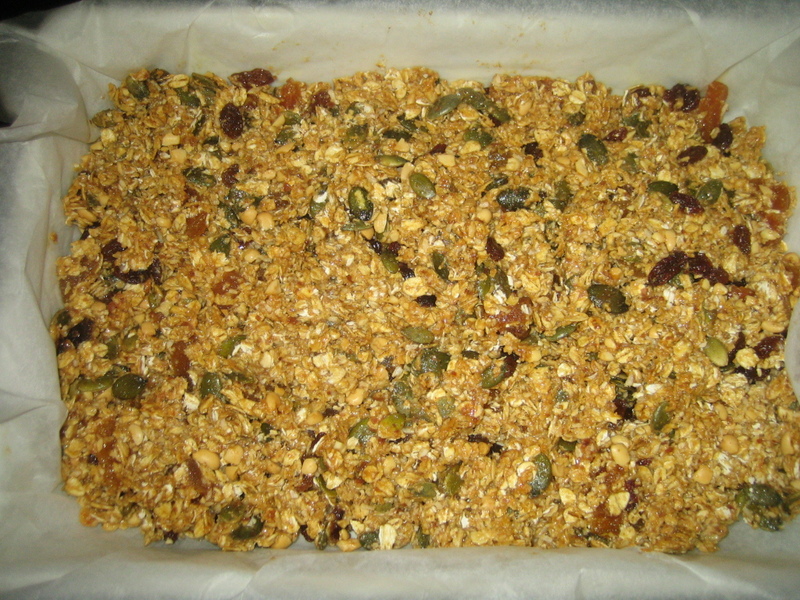 Bake in the oven (180 degrees) for 15 – 20 mins (full recipe in Innocent’s Hungry? cookbook). This is one of my favourite quick meals which uses polenta. Instead of salmon, you could also use tuna or even some cooked meat and / or finely chopped vegetables. Mash the cooked potato and place in a bowl with the fish, a squeeze of lemon juice, the dairy-free spread and herbs. Season with salt and pepper as required. Add about half of the beaten egg / egg replacer and stir in. This binds the mixture. 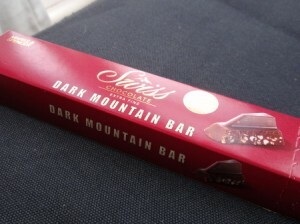 Place in the fridge to allow to cool (I left it in for around 20 minutes). Flour your hands with the gluten free flour. Shape the cooled mixture into cakes then dip into the egg mix and then into the polenta. Fry on both sides until nicely browned. Polenta is a fantastic and versatile ingredient for Fussy Foodies. If you have any recipes you would like to share please contact me or comment in the forms below. Great write up Em – I need to get some polenta in my life, can’t wait to try some recipes. Hi I was wondering is polenta yeast and/or wheat free?